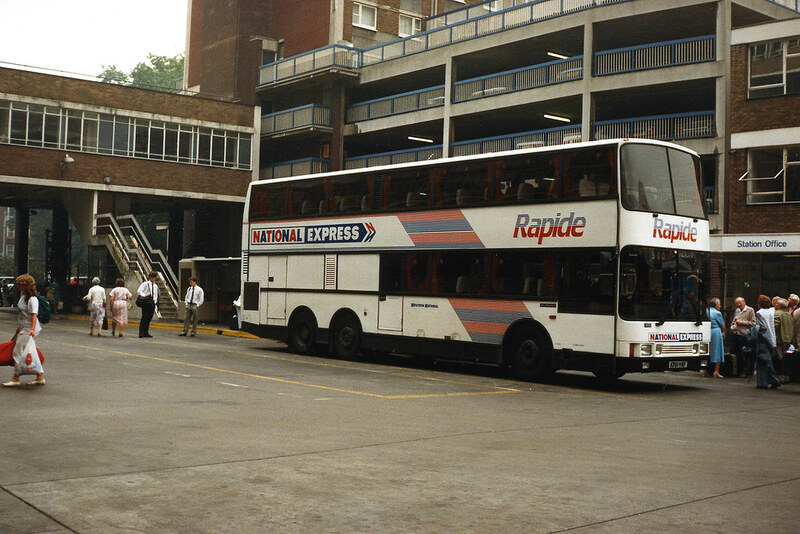 With the new extra long Volvo Plaxton coaches now entering service with Trathens it seems the days of double deckers on National Express are well and truly numbered. In much happier times we see Western Nationals answer to the Neoplan Skyliners of Trathens, in one of the fine MCW Metroliners A761VAF. I did like these machines a lot, but they never quite matched the Skyliners which were in a class of their own. It must be said that this design has dated extremely well though.